We’re renowned for our quick response time because we know that you require help to achieve your desired outcomes as soon as possible. To service the needs of the community searching for psychologists Adelaide, and to increase accessibility, we now have two convenient locations in North Adelaide and Glenelg South servicing both sides of Adelaide. NOTE: Our North Adelaide rooms have moved. 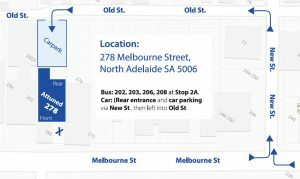 As of Monday, February 25, 2019, our new location is 278 Melbourne Street, North Adelaide. Click to read more about our move. 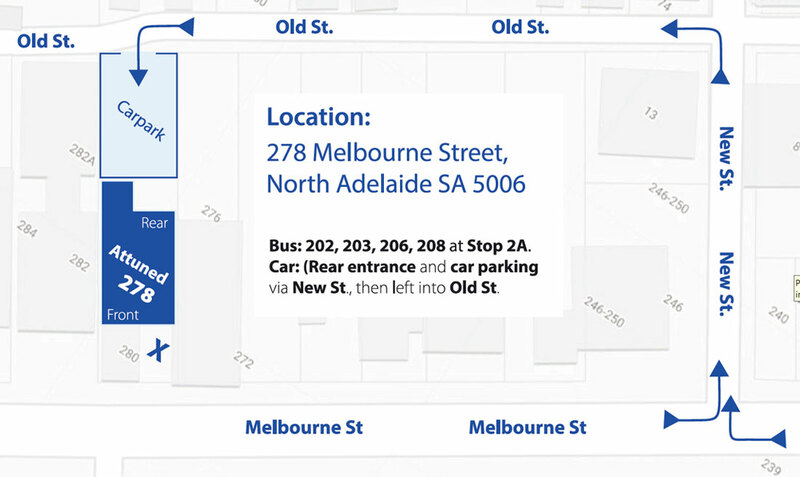 Our central North Adelaide location is located in a beautiful Victorian building on Melbourne Street, North Adelaide. 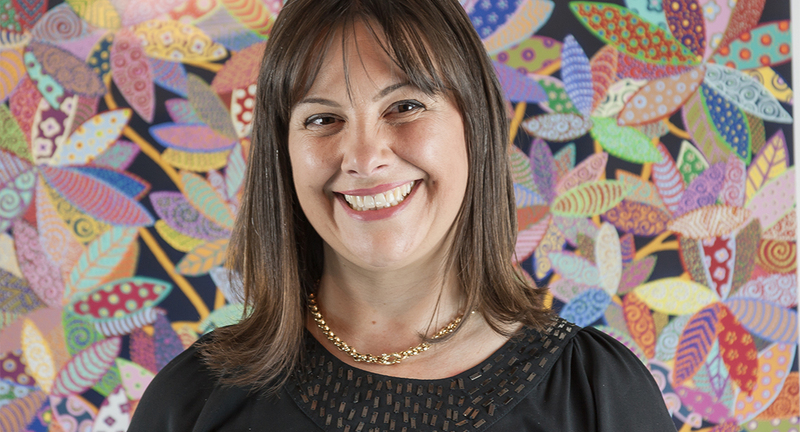 With comfortable furniture, beautiful South Australian artwork, and a sense of space that is calming, our private consulting rooms provide a welcoming, relaxing and safe place for you to receive help to achieve your desired outcomes in comfort. 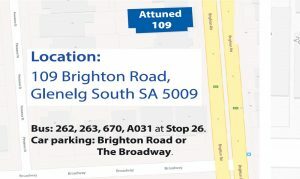 Attuned Psychology at Glenelg South is co-located with Adelaide Night and Day Family Therapy where where we work together to provide clients with a multi disciplinary service including Occupational Therapy and Family Therapy. For further information about psychologists Adelaide, to make any enquiries or to make an appointment at either location, please call us on 08 8361 7008 or click here to complete the online enquiry form. We know we can help. Emergency appointments are available. Please let us know when you call and make an appointment that you require urgent assistance and we will do our best to service your needs asap. We have an off street car park behind our building. From Melbourne Street, turn onto New Street, then Old Street, and you will see our sign directing you into our car park. There is also a sturdy place for locking up your bike against the rear wall of our building. Attuned Psychology is easy to access by bus, with stop 2a just a few doors away. Parking can be found directly in front of the clinic on Brighton Road from 9am-3pm, and 7pm-10pm. However, this becomes a bike lane from 7am-9am and 4pm-7pm, at which times, there is ample parking in nearby side streets like The Broadway. 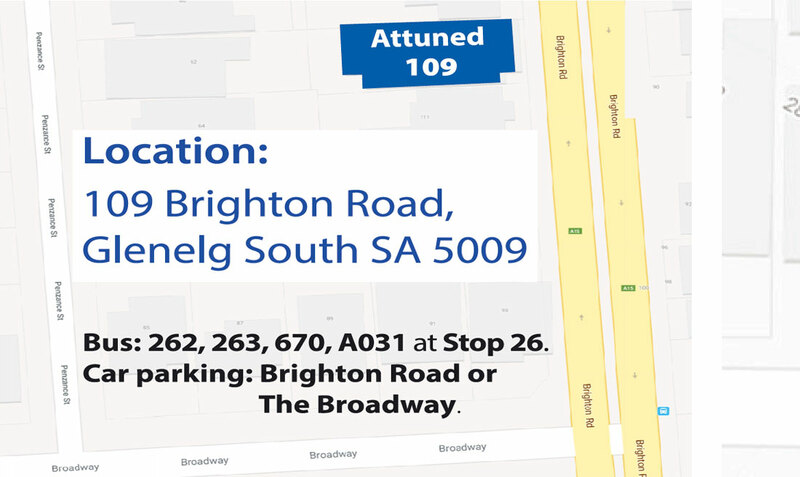 Attuned Psychology Glenelg South is easy to access by bus, and a 10 minute walk from Tram Stop 15. For further information about our psychology services, any enquiries or to make an appointment, use our contact details above or our contact form below. We know we can help.